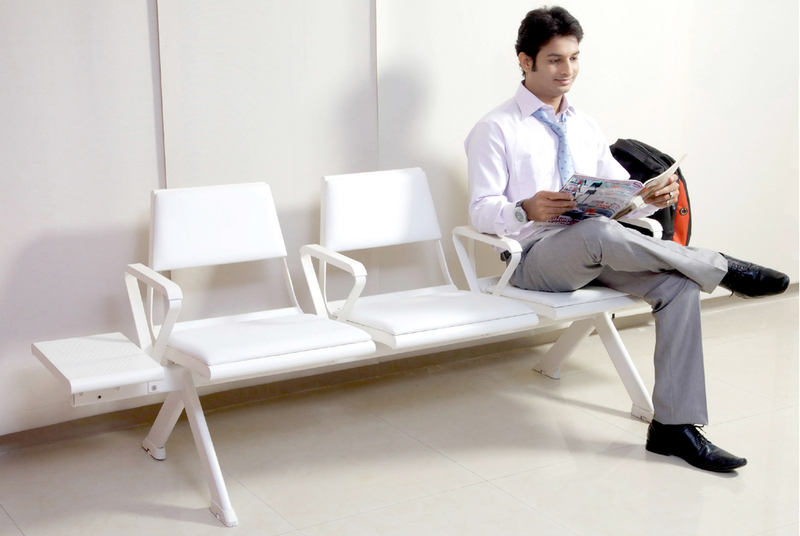 Matrix is a modular public seating system for Hospital waiting areas, waiting areas in banks etc. It addresses the need of a low cost and sturdy solution to public waiting area needs. The chair is made from sheet metal and the under-structure is made from mild steel tubes. It has been designed to address every stated and unstated need of the user. Matrix blends into any environment making a subtle statement for itself with its understated elegance. 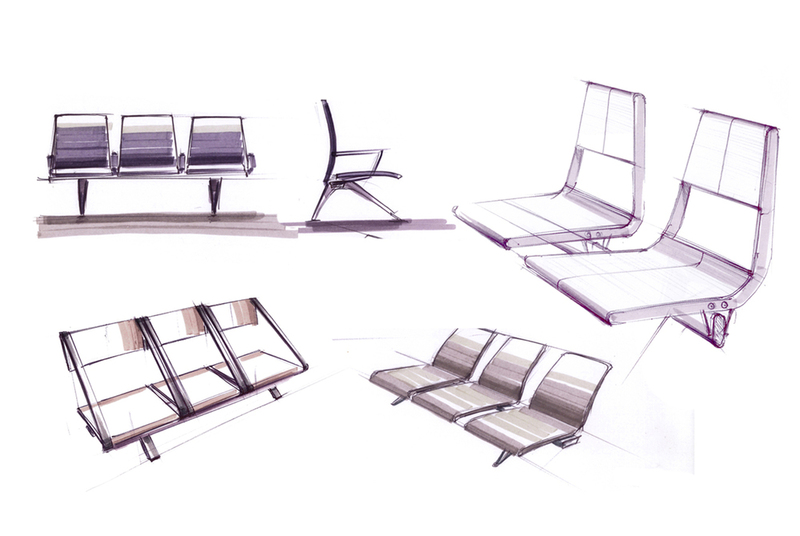 The product brief was to come up with a cost effective sheet metal chair for waiting areas. I started out with observing people in waiting areas, sitting and sketching for two hours, observing what they did, how they moved, how they used it. The most gratifying aspect of this project was that every little detail had a direct reason behind it in the study. The top part of the backrest was given a generous radius because of my observation that people typically twist a little and rest their elbows on the backrest when they talk to someone sitting beside. A buttock support curve was given to prevent small children from falling through the gap between backrest and seat (The gap had to exist for cost reasons). I had seen that in a back to back layout or a tandem layout, the individual units get misaligned after constant use. I had solved the alignment issues by integrating the alignment mechanism into the shoe cap of the legs, as this was very intuitive for usage. These are a few examples of innovation that happened purely because of observation.